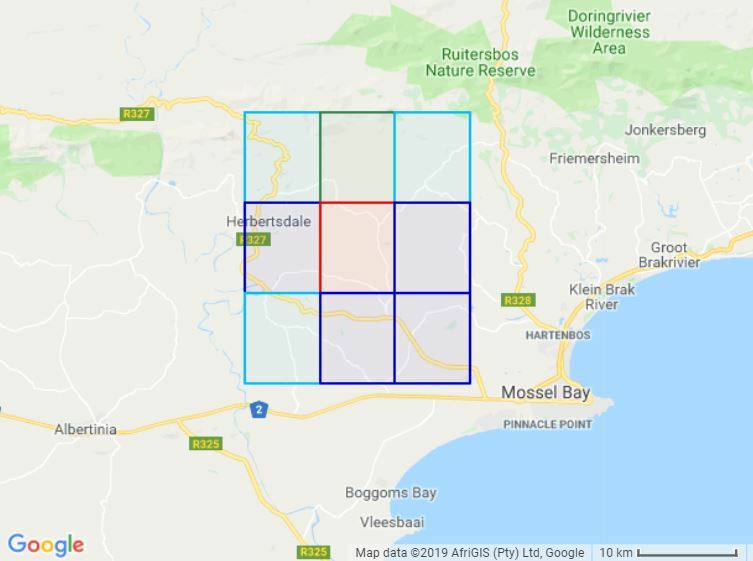 With an open palette of pentads not yet atlassed in 2019 I chose two pentad blocks around Herbertsdale in the southern Cape with the least Full Protocol cards to date – one covering Gondwana Game Reserve and the other including the village of Herbertsdale and the surrounding countryside. My route was planned to be a circular one, heading out and back on the R327 to this by now familiar area that I have atlassed frequently over the last several years. I had put my faith in the usually dependable YR weather App which forecast that the overnight rain would clear up by early morning. Heading out at 5.30 am from Mossel Bay, I had a few doubts as the gloomy, rainy weather persisted until after 7 am, an hour into atlasing the first pentad, but then cleared up into a beautiful sunny day. 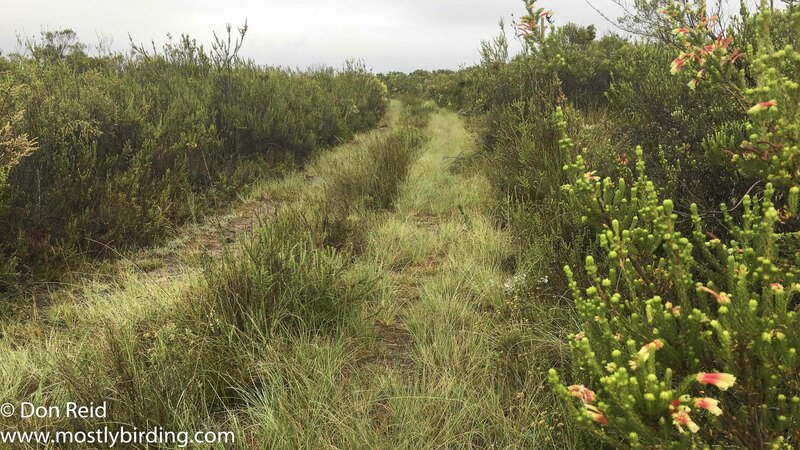 Soon after entering the pentad block, I stopped at the Gondwana Game Reserve gatehouse to check if there were any restrictions on driving through the reserve on what is still a public road. The reply was “Yes you can drive through, but you are not allowed to stop”. Now I am a birder and we like to stop frequently and unexpectedly, so I nodded vaguely and proceeded on my way through the reserve, not expecting to come across any other traffic at this early hour and on this rather remote road. I saw a few animals but as it turned out, with rain still falling steadily, I did not have much reason to stop for birds, until I came across a small roadside dam with a Grey Heron standing like a statue in hunting mode, watching the water very intently. I could not resist stopping, whereupon two things happened almost simultaneously – a Black-crowned Night-Heron flew gracefully in and settled in the shallow water near the Grey Heron – and a Gondwana ranger in a bakkie (utility vehicle) appeared over the rise behind me slightly less gracefully and stopped next to my vehicle – with a smile on his face,it must be said. He reminded me of the ‘no stopping’ request and suggested I move on, which I did after asking permission to take a quick photo of the Night-Heron and receiving same. It’s quite understandable that reserves such as Gondwana are nervous or even slightly paranoid about potential poaching, having passed a grazing Rhino with full horn just a little earlier, however I’m sure the profile of the average poacher does not include meek, pensioner-age birders in SUV’s armed only with long-lens cameras. In any case, next time I will contact Gondwana beforehand for permission to bird. 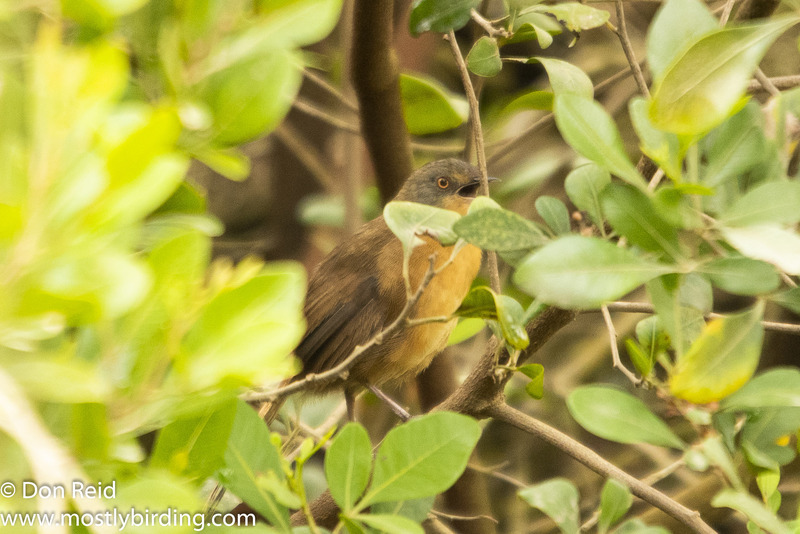 Exiting the reserve a short while later through the northern gate, a subtle change in habitat – more bush and trees for a starter – resulted in a change in bird life in terms of numbers and almost immediately Malachite and Southern Double-collared Sunbirds were added to my list. 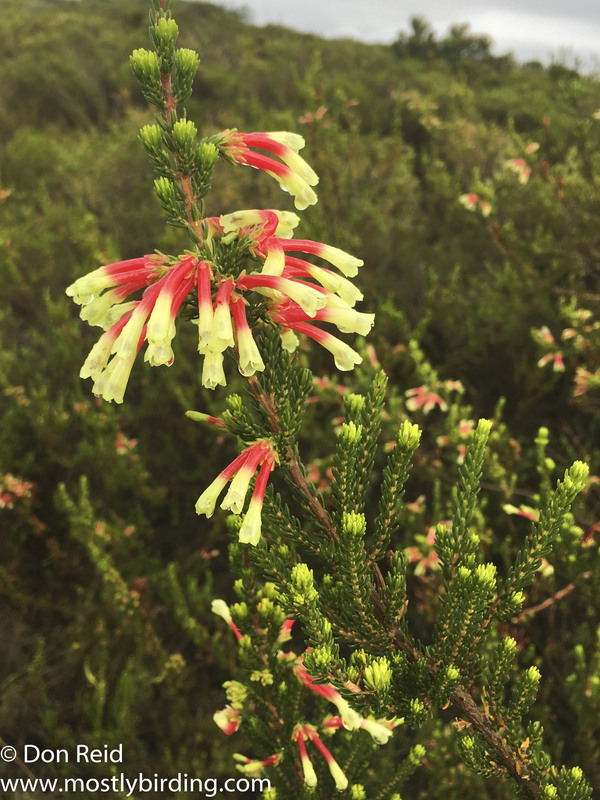 Further along the road I stopped to look around, only to be enticed to walk up an inviting track leading through a field filled with fynbos and protea species. 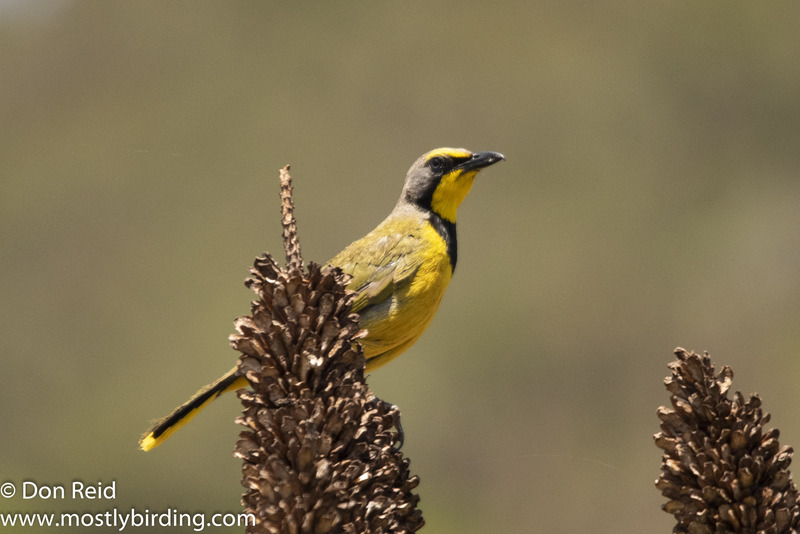 Southern Tchagra and Orange-breasted Sunbirds delighted me with their presence while a “Murder of Crows” – White-necked Ravens by name but also part of the Corvus genus along with all the other Crows – flew over and settled in an adjoining open field. Soon after, I reached the eastern boundary of the pentad and turned around with 29 species recorded so far, then took a branch road which headed into the more hilly northern section with another subtle change in habitat – still quite bushy along the road verge but more open fields and grassland behind. 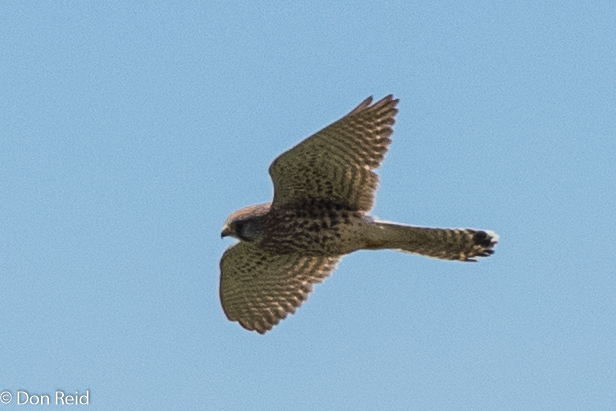 Suddenly I could hear Cape Clapper Lark displaying and saw the perpetrator soon after, furiously clapping its wings as it ascended, producing a loud, fast clapping sound followed by a drawn out sharp whistle on descent. Competing with the Clappers and soon winning the “most prominent call” competition were Victorin’s Warblers, seemingly every 50 m or so for a few hundred metres – definitely a hot spot for this loud but elusive bird that just refused to show when I stopped to search for it, allowing nothing more than a brief glimpse through dense foliage. Although this pentad lies directly west of the first one, the lack of direct roads meant a longish drive via the R327 to get to the northern boundary just outside the tiny but charming Herbertsdale village. 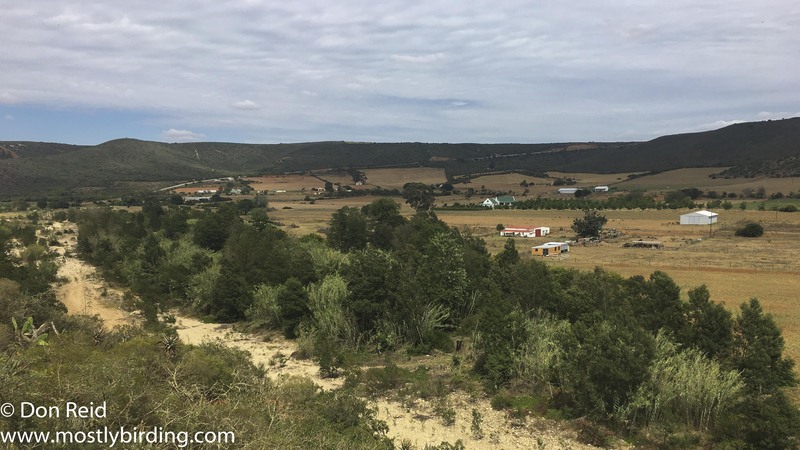 The birding was immediately lively and the views from the hill leading into the village spanned the fertile valley below, albeit suffering under the drought that has so much of the country in its grip. 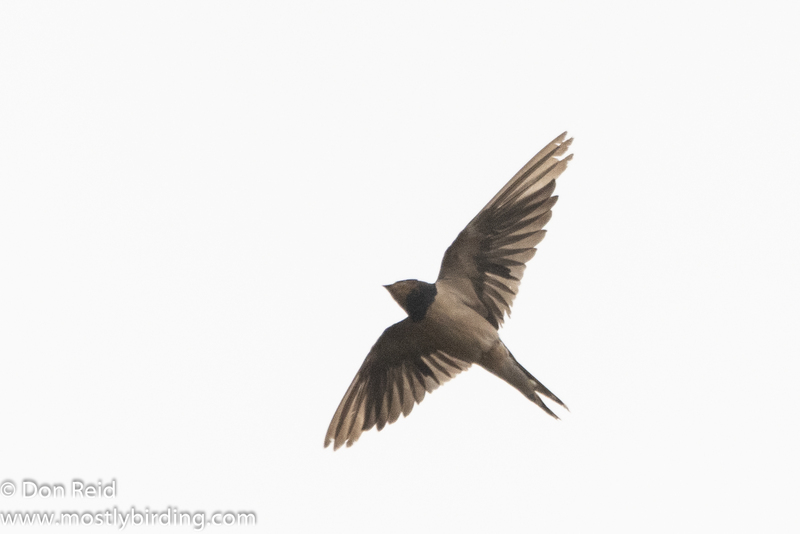 Driving slowly through the village a group of swifts and swallows were circling busily overhead, no doubt feasting in mid-air on the thousands of flying insects. A couple of Alpine Swifts flew by, big-bodied and lightning fast compared to the White-rumped and African Black Swifts that made up the majority of the flock, so distinctive with their white underparts. 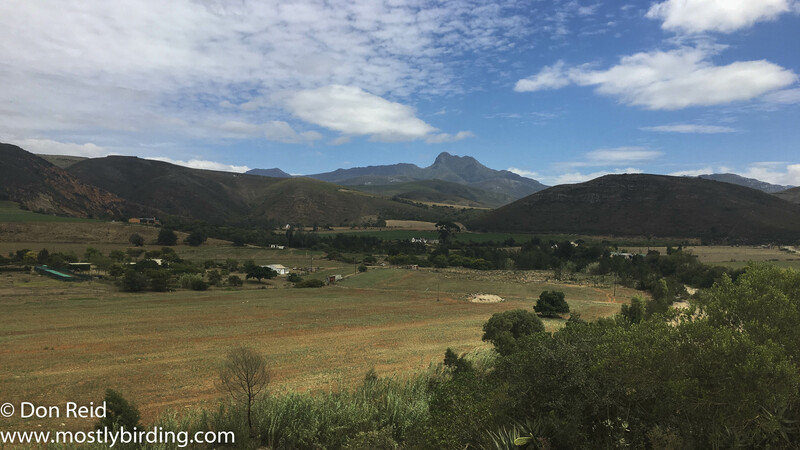 Beyond Herbertsdale the road heads back towards Mossel Bay, past roadside farm dams which held a selection of water birds, including Black Crake, Yellow-billed Duck, Red-billed Teal while the call of Lesser Swamp-Warbler emanated from the fringing reeds. 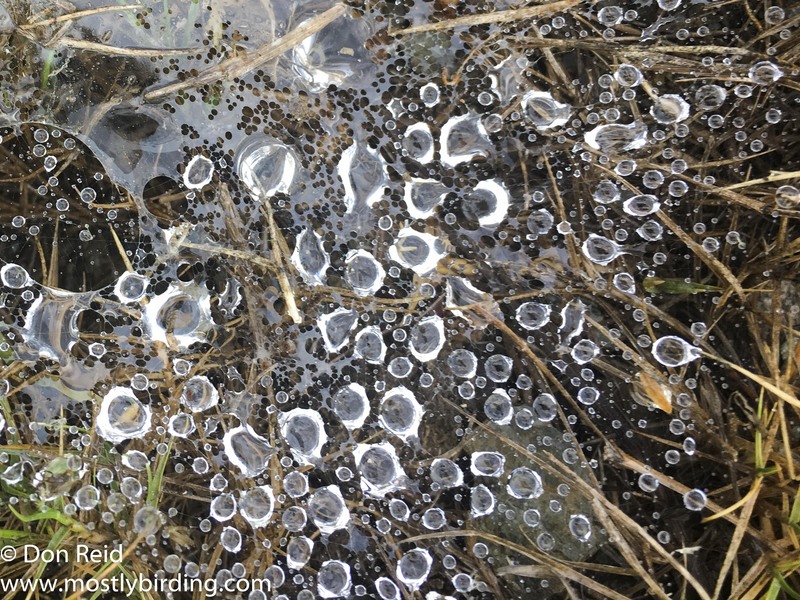 An irrigated field was literally swarming with low flying Barn Swallows crisscrossing in the air while tens of Red Bishops searched the ground below them. 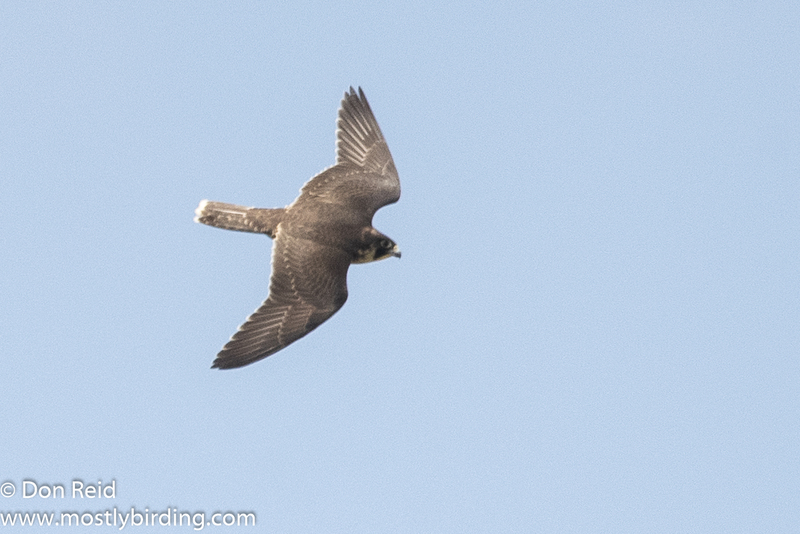 Patrolling the field at a height was a fierce-looking Peregrine Falcon – I imagined some doem-doem-doem music building up in the background to heighten the drama of the situation, but the Falcon was not in a hurry to hunt and I carried on after watching it for a while. 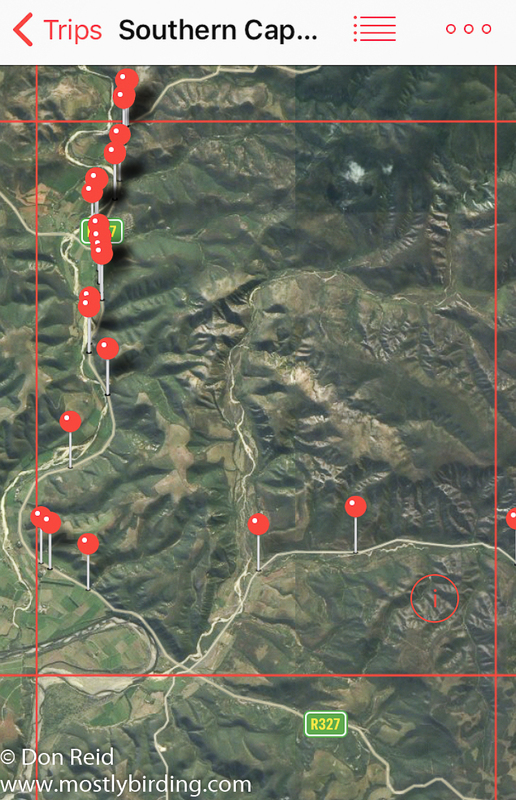 Simply put, it is the regular mapping of bird species in a defined area called a “pentad”. Each pentad has a unique number based on its geographical position according to a 5 minute x 5 minute grid of co-ordinates of latitude and longitude, which translates into a square of our planet roughly 8 x 8 kms in extent. 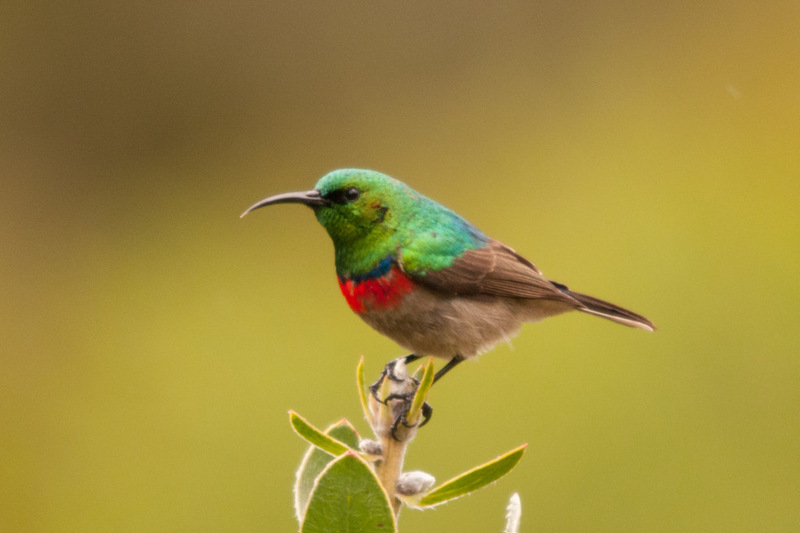 As a registered observer / Citizen scientist under the SABAP2 program (SA Bird Atlas Project 2), all of the birding I do nowadays includes recording the species for submission to the project database at the ADU (Animal Demography Unit) based in Cape Town. 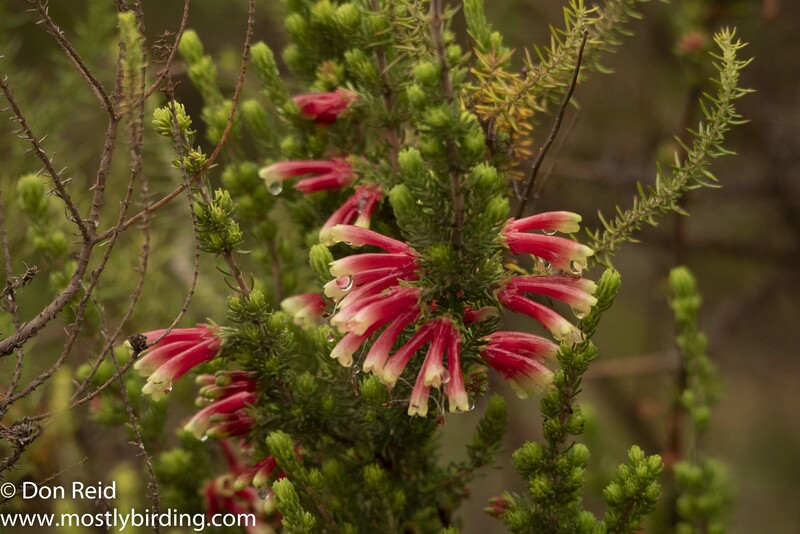 Atlasing has brought a new dimension and meaning to my birding as it has to many other birders. 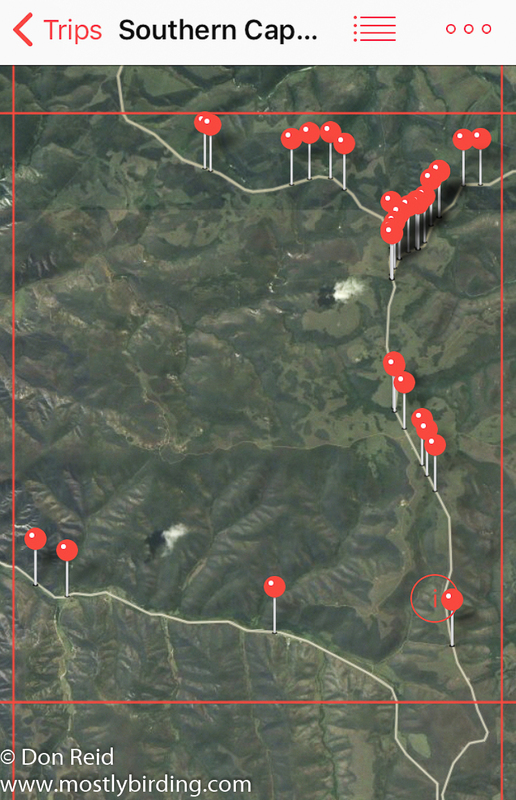 The introduction a couple of years ago of the “Birdlasser” App has greatly simplified the recording and submission of the data collected. An enjoyable read with an interesting variety of photographs. 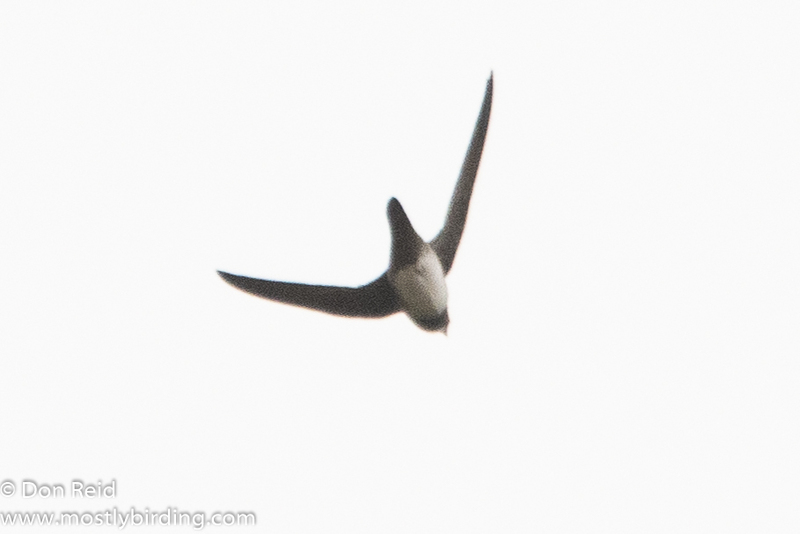 Well done on capturing both the Barn Swallow and the Alpine Swift. I think your tortoise is the Common Padloper (Parrot-beaked tortoise). 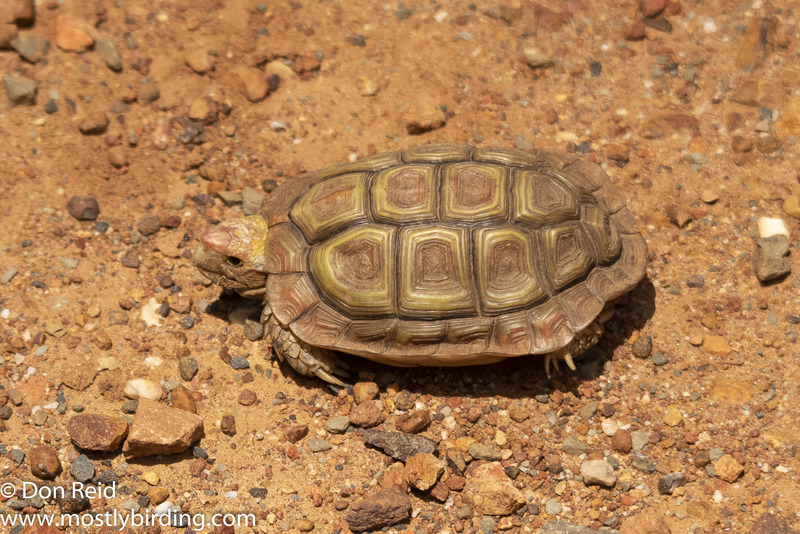 Thanks for the feedback Anne – I agree with the tortoise species – have come across them many times so I should know the name by now but as opposed to birds, I’m a bit slow on tortoises …. 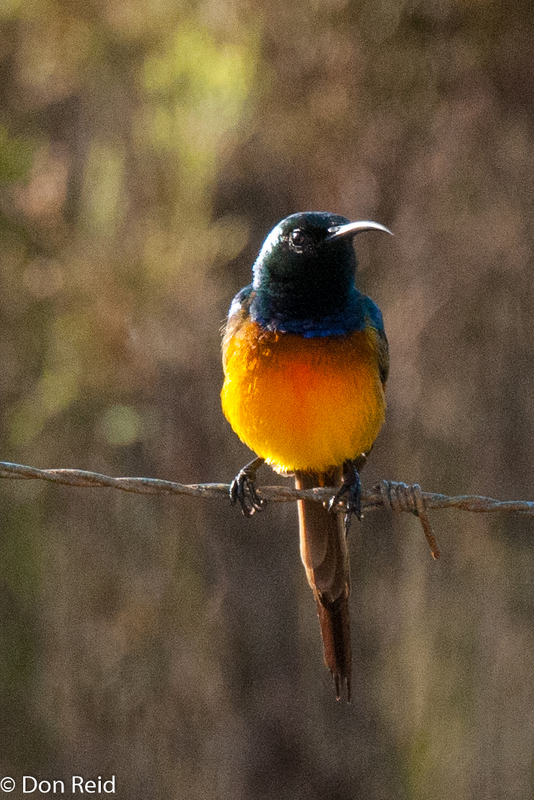 Very interesting as usual, Donald – the sunbirds are spectacular!